Since 1950, the Association of the United States Army (AUSA) has worked to support all aspects of national security while advancing the interests of America's Army and the men and women who serve. AUSA is a private, non-profit educational organization that supports America's Army - Regular Army, National Guard, Reserve, Retired Soldiers, Government Civilians, Wounded Warriors, Veterans, concerned citizens and family members. AUSA has 119 chapters located worldwide that are made up entirely of volunteers to provide numerous recreational, educational, and professional development opportunities for Soldiers and their families at a variety of events both local and national. With this in mind, AUSA was in need of a website redesign to improve user experience to better accommodate its membership base. The existing site did not have a direct integration with Personify, an Association Management System (AMS), and relied heavily on Personify for its membership purchases. 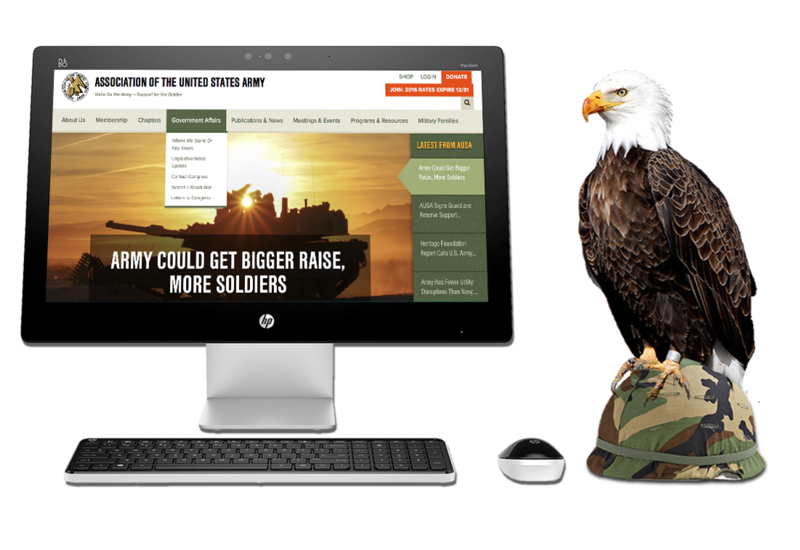 AUSA turned to the open source experts at Unleashed Technologies to update its website’s backend technology, provide a more intuitive experience for its visitors, and clean up its membership purchase process. Unleashed Technologies worked closely with AUSA to ensure that the new site offers an engaging interface that follows web best practices and powerfully communicates the vision of AUSA to its key audiences. This site build required comprehensive work with the Personify development team in order for Unleashed Technologies to customize development and complex API integrations. The new AUSA.org is now able to handle membership purchases internally to provide a cleaner purchasing process and increase user experience. In addition, members can now enjoy the convenience of a responsive site that allows them to manage their membership clearly on all of their devices with faster site loads. Unleashed Technologies was able to successfully deliver a large-scale responsive site build and complex third party integrations within a tight timeline and budget. Unleashed Technologies continues to assist AUSA in ongoing site improvements via its Support and Growth Package model and will soon build out the chapter leadership portal for AUSA. With every project there are challenges, but Unleashed Technologies always found a way to make us happy. They are very flexible and truly care about their customer. I've worked with many web development vendors in the past, and Unleashed Technologies is easily the best I've ever encountered.